My sweet, sweet Vitamix 5200. 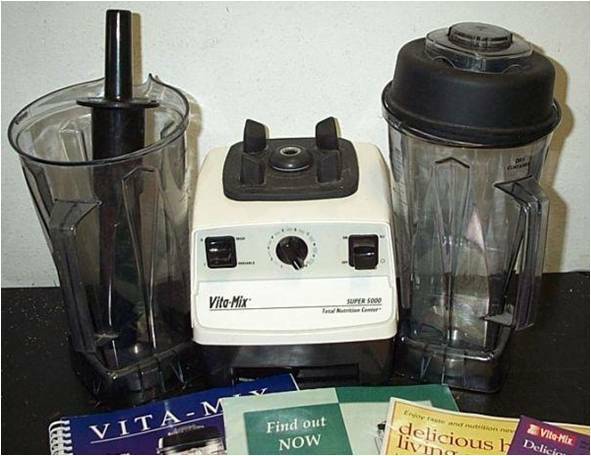 I just bought this Vitamix 5000 at the thrift shop for $75!!!! Yeah!!! I just checked eBay and these babies are selling from $400 to $600 used. Mine works and is complete with everything including two containers, one for wet ingredients and one for dry ingredients. It's in great condition! Wahoo! The deal of the century - everything included for $75.00. Wow! I paid $400 for mine, and I only have one blender container... Michelle doesn't swoon when we use it, like I do. You will love it! Congrats... you got a SMOKIN' deal. What? Did you buy yours new? 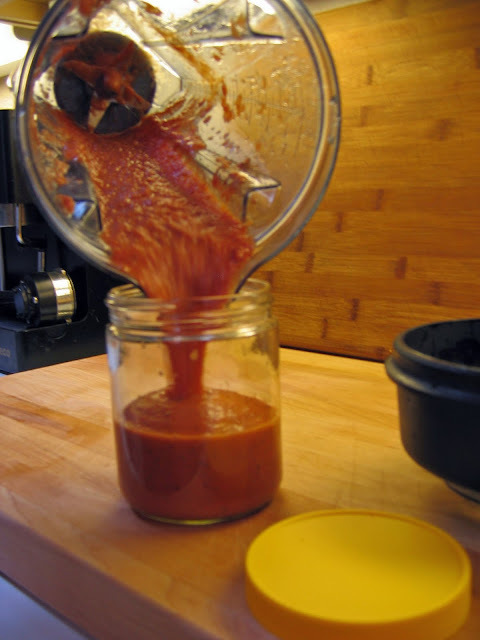 Making pizza sauce in the Vitamix. This past Sunday Linda posted this comment on our Dad's wall, "There are so many good things that you taught me...a love of tools and the importance of having the right tool for the job, of doing the job right the first time, the value of being self-sufficient, not to be afraid to be intelligent and not accept consensus reality. My love of plants and gardening started with you, and you taught me that a hard day's work can feel good, and to get by in this world with integrity you need to have a spine of steel. Thanks, Dad, and I wish you a very happy Father's Day." Juliette tagged on, "I remember many, many trips to junk yards and the hardware store (the one with the big cat that was always asleep on the counter). Stopping for an ice cream cone on the way home. Thanks for letting me have access to your well appointed workshop at such an early age - I still have all my fingers! Your focus on vocabulary and logic have also been things that have proved to be priceless. Love you Dad, have a great day!" 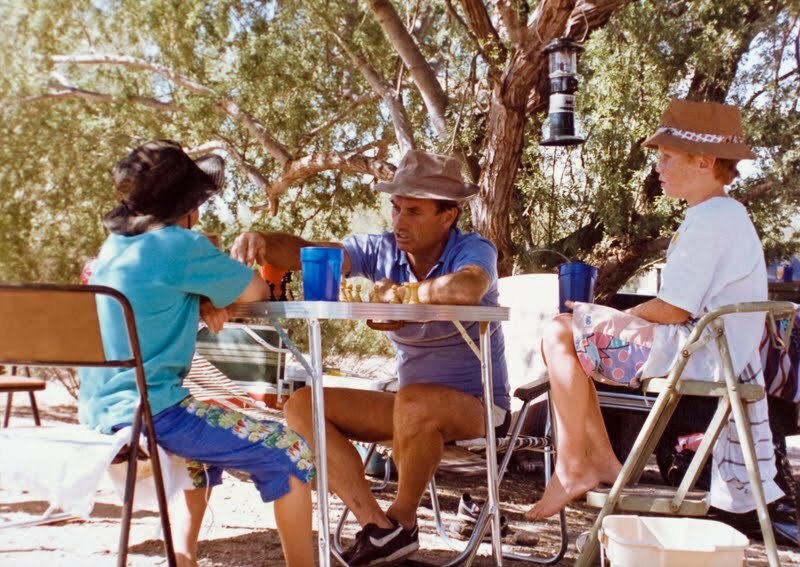 Our Dad playing chess with Linda's identical twin sons on a family camping trip. I chipped in with my two cents, "One of the things I really appreciate was logic building exercises through playing games like checkers and chess. At a very young age you helped me to understand strategy, to plan the movement of game pieces, to perceive what the other player might be planning. Being able to anticipate actions and visualize what something will look like in my head before moving forward with a plan is something that has served me very well in both my personal and professional life and is something I'm trying to pass on to my own daughter. Thanks for all the one-on-one attention, Dad. P.S. : I still get great pleasure from the antique buffet and armoir that we repaired and refinished together. Knowing to do things and working with my hands is very satisfying." It's official. The Salvation Sisters love their tools and we were taught the value of the right tool for the right job at a very young age. 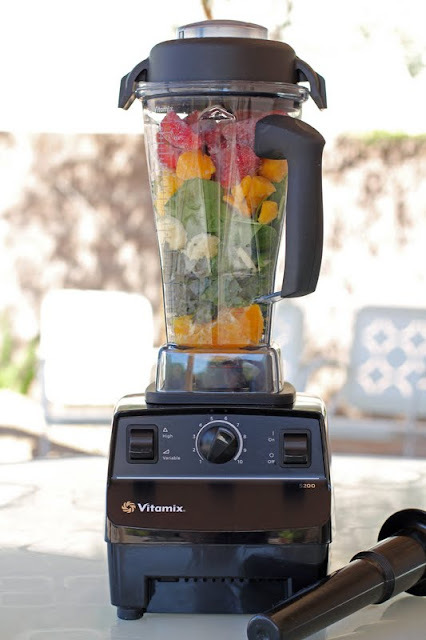 The Vitamix is the King - or is that the Queen - of blenders. It has power and variable speed control... up to 240 mph to fully blend ingredients. But wait, that's not all. The magic machine will chip, blend, cream, grind, knead, churn, emulsify, crush, whisk, frappé, purée, powder, whip... and, it practically cleans itself in seconds. The full 7-year warranty is pretty great, too. 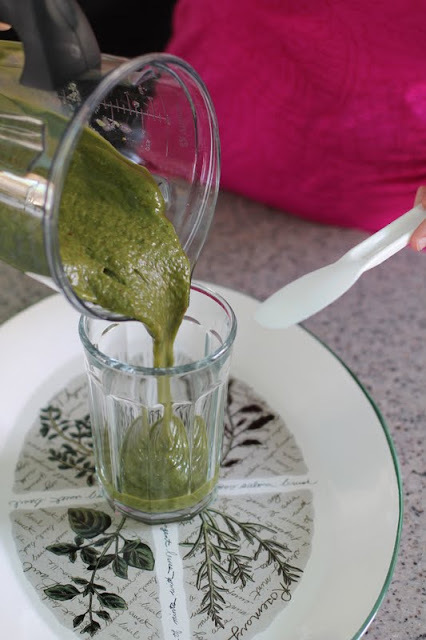 If I wasn't swooning over Linda's Vitamix, I'm certainly swooning over mine, especially when I make my Yummy Kombucha and Kale Smoothie just about every morning! I know I told one of you (must have been Linda) that my girls were complaining that the old Waring blender (also a thrift shop find for $3) had finally succumbed to age and abuse, and I needed to get a new one so they could make smoothies. I said there was a $600 mixer sitting on the counter, and gestured impatiently toward the Vitamix. They looked at me like I was speaking a foreign language. After whipping up several batches of perfect hummus, many pints of smoothies, and actually grinding whole wheat flour in my Vitamix, I wasn't going to let anyone put my Baby in the corner! Like any good mother I made Avalon demonstrate her smoothie skills in the Vitamix. She was not adding enough liquid. End of story. Vitamix 1 - Avalon 0! It is clear that my children don't share my aptitude for a good tool. Damn, after reading that, I wish I hadn't sold MY vitamix. It just sort of sat there, foolishly enough, and the thing and I had a falling out the first time I used it. Tons of company coming over for a party, I turned on the switch to make margaritas and the lid wasn't on tightly. All over the damned kitchen,,,ALL over, sticky mess. Never could fall back in love with her after that. '-) got mine at an auction for $40.